A re-interpretation of the Tea Trolley 901, one light and one dark: the “light” Tea Trolley has a frame in natural birch, an eggshell-coloured linoleum top tray and a bottom tray in contrasting bright white laminate. 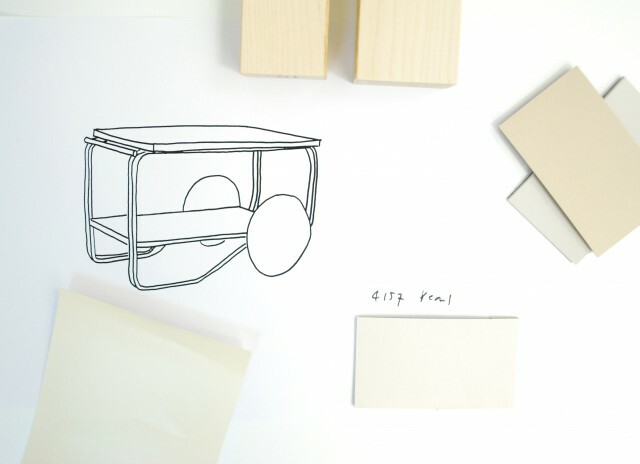 The wheels are lacquered in an eggshell hue matching the top tray, creating a soft contrast to the blond birch. The “dark” Trolley boasts a black lacquered birch frame, which reinforces the graphic qualities of the structure. 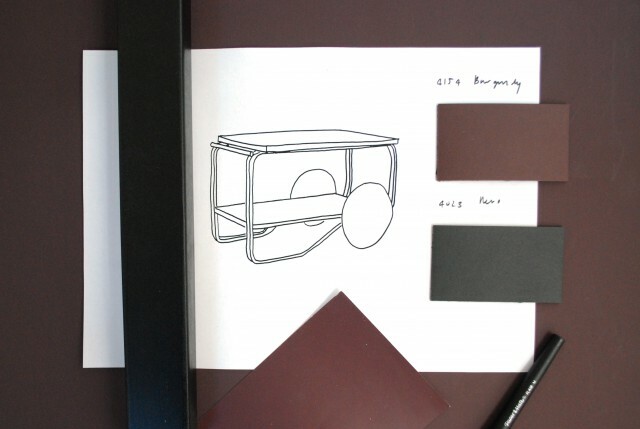 An aubergine-coloured linoleum top tray and wheels lacquered in the same colour are combined with a bottom tray in black linoleum. While the upper tray of the Trolley fully catches the light, the lower level always remains in shadow. This effect was accentuated by using different colours for the respective levels. The wheel, the Trolley’s most prominent detail, takes up the colour of the upper tray. With these subtle interventions, the Tea Trolley’s distinct geometry and beautiful materials are accentuated and presented in a new light.